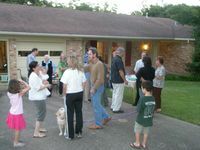 Last night, Tuesday October 5, 2010 from 6-9pm, Allandale joined neighborhoods throughout Austin and the nation for the 27th Annual National Night Out (NNO). 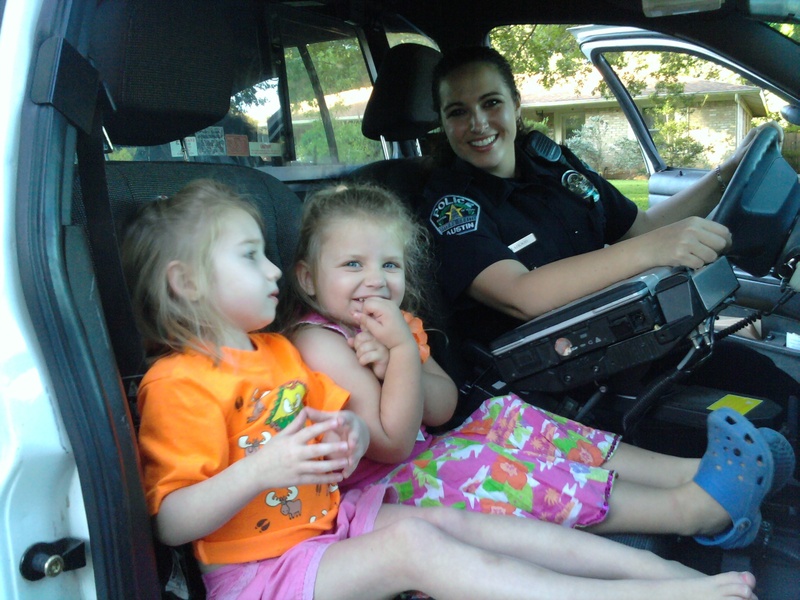 Actually, most communities did their NNO in August, but due to the heat in Austin, APD moved ours to the first Tuesday in October every year. The event gave residents an opportunity to meet neighbors and commit to help law enforcement reduce crime. Block captains organized 29 parties in Allandale and were visited by fire fighters with their trucks, EMS, and police officers. The photo on the left is from the block party hosted by Michael and Elizabeth Bomba on Bullard Dr. The photo on the right is from the NNO party on West Greenlawn. If you were not invited to a party it’s because you do not have a block captain near you. Please contact Allandale Neighborhood Watch Coordinator/ Safety Chair Laura DiCarlo at 3234-6929 or lhdicarlo [Email address: lhdicarlo #AT# yahoo.com - replace #AT# with @ ] to help remedy that problem.